Join us and feel the freedom of gliding across acres of countryside. You’ll laugh, master new skills, navigate assault challenges and glide like you mean it on a guided all-action safari adventure! 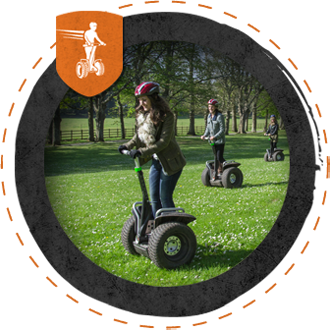 Segway is the world’s leader of electric balancing transportation that has transformed how people play. Our vehicles are designed specifically for outdoor all-weather adventure with higher ground clearance and chunky turf tyres! Ready? Every adventure starts with a first step. Following your training briefing we’ll board you individually with an instructor. New to this? Don’t worry – it’s incredibly intuitive and you’ll be surprised how quickly you learn to ride confidently. 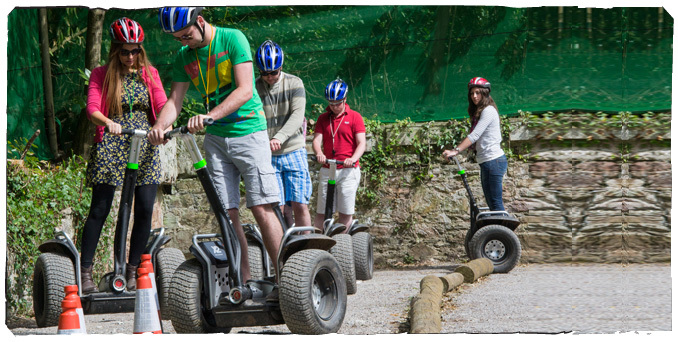 Once you have mastered how to operate your Segway we’ll head out and explore the park! 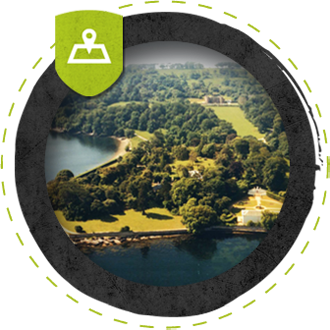 Yes it is – over the years we have safely entertained tens of thousands of visitors at Mount Edgcumbe Country Park who have throughly enjoyed this fun and exhilarating experience in a safe and controlled environment. Whilst stastically it’s safe, you should understand that in common with any outdoor adventure there are risks involved. 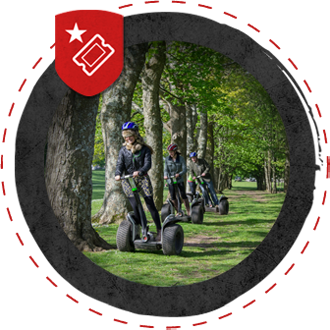 The Segway is a self-balancing vehicle that utilises balancing technology and this cannot prevent injury if you do not ride the Segway safely. To ride safely, please heed the advice of our instructors who will provide you with thorough tuition in a private training area. Whilst it is easy to fall off a Segway it is also easy not to fall off. You should ride within your limits and apply due care and attention as you would navigating any other vehicle. Thanks a million over the years our visitors have consistently rated us highly. We have won at the Cornwall Tourism Awards every year since we started and last year we won GOLD at the regional South West Tourism Excellence Awards!